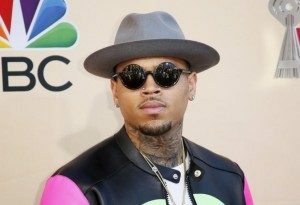 Home Entertainment Celebrity News Chris Brown Changed His Lifestyle For Rihanna? Chris Brown Changed His Lifestyle For Rihanna? Is Chris Brown jealous of his ex, Rihanna’s alleged romance with actor, Leonardo DiCaprio? According to Hollywood Life, the pop singer feels pretty hurt by the news that the love of his life, Rihanna, 28, could be back fooling around with ‘Titanic’ star, DiCaprio, 41. As he prepares to celebrate his birthday on May 5 and perhaps drop a new album, it’s sad that Breezy still thinks of RiRi’s love life. As we reported, Rihanna and DiCaprio were spotted once again looking all cuddly at Coachella on April 30.The pair was at the opening of Intrigue Nightclub, the latest Las Vegas nightspot inside The Wynn, looked hot together! Eye witnesses say they were sweetly whispering in eachothers ears in the VIP area and brought their entourages upstairs afterwards to keep the party going. Hmmm, these two just can’t seem to stay away from each other! Jay Z, Kanye West End Beef? Is Runtown Africa’s Artist of the Year?